I was attracted to Marxism at a very early age. It was more than simply early teenage rebellion. In a world of many choices, I felt that perhaps Marx had found the key that unlocks human existence. I had already rejected the Catholicism of my youth, and at the ripe old age of ten had declared myself an atheist. 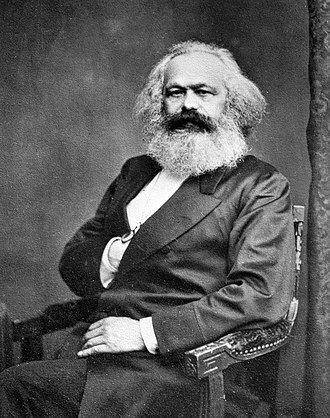 The philosophy of Marx seemed to fill the void that mainstream religion had left. OK, I had concluded that there is no God, but there still had to be a reason why we were here, and why men and women acted the way that they do. Marx provided the answer: economics. Landlord to tenant, boss to worker, government to citizen; there was a hierarchy of economic unfairness—and this tension between the haves and the have-nots had been going on for millennia. The answer was to abolish private property and establish a society built on the needs of all—not just the wealthy few. This, to me, seemed rational, sane—and compassionate. I devoured every piece of writing that Marx, Engels and Lenin had produced. Marx and Engels were the theoreticians, Lenin was the purveyor of the “How To” of revolution. In my mind, it all fit so perfectly that I could not comprehend why others did not see it and turn to the light of communism as a panacea of the world’s problems. When I became an undergraduate student at NYU, I naturally gravitated to those fellow students who were like-minded. I knew people who were members of the Socialist Workers Party and often attend their meetings with them and even met their presidential candidate.